Nothing will annoy or disappoint you more than having a nice big scratch in your new screen. You’ll be reminded of your clumsiness each and every time you look at it. 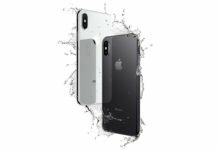 InvisibleShield glass+ is a tempered glass screen protector for your iPhone X that provides beautiful clarity, scratch protection and up to 3x shatter protection without loss to touch sensitivity. The InvisibleShield Glass+ screen protector offers a nice and smooth surface with the added convenience of smudge resistance which will help you maintain some of your sanity and the added layer of protection will help keep your screen looking unblemished. The shape of the Glass+ screen protector follows the contours of the iPhone X with rounded corners and includes a cut out for the notch as well. The edges of the Glass+ are also smoothly beveled for a clean look. The thickness is measured at .4mm, roughly about the thickness of a 16pt business card. The Glass+ begins where the iPhone X’s bevel-rounded edge ends so you’ll end up with a small uniform gap around the perimeter. 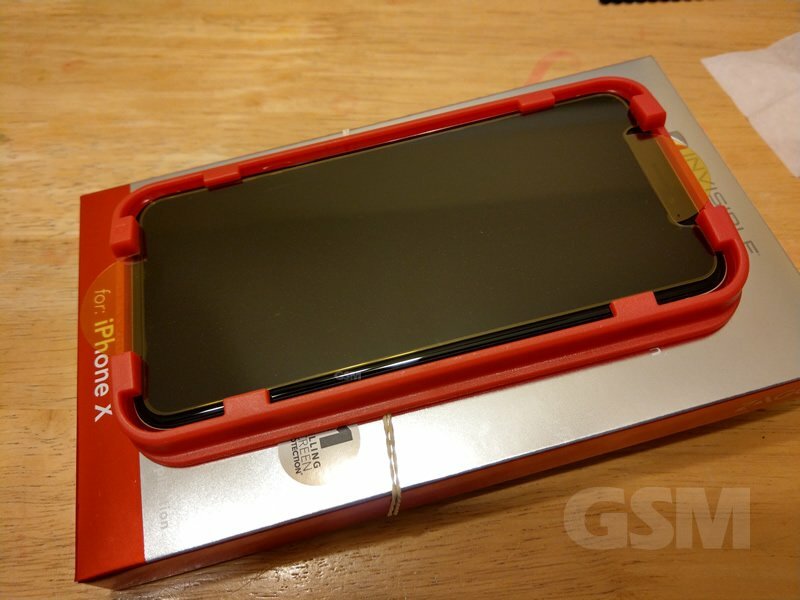 It installed nicely and looks great with the Impact Protection Catalyst Case for the iPhone X. The InvisibleShield Glass+ is constructed with 4 layers: a smudge resistant layer is followed by a scratch resistant layer, Ion Matrix Impact protection layer and bubble-free application adhesive layer. The edges of the Glass+ are reinforced to give you consistent performance coverage to the very edge of the tempered glass. In direct sunlight, from the bevel you might experience a tiny rainbow effect on the very edge if that is a concern. Doesn’t bother us at all. The glass+ tempered glass product is very easy to install. Your biggest hurdle will be to install the screen protector without a single spec of dust under it. The package comes with everything you need including the glass+ tempered glass, microfiber clothing, cleaning wipe, dust removal sticker. Most of us don’t live in a controlled lab environment free of dust so don’t be upset if you find a spec settle on the screen as you prepare your Glass+. That’s what the cleaning wipe, cloth and sticker are for. First remove the case if you have one on. Use the cleaning wipe first and ready your iPhone by placing on the plastic installation guide/template. This template or guide is sturdy, fits well and makes it virtually impossible not to seat the glass+ dead center. Remove the layer of plastic film on the side indicated (it’s labeled) and hold it by the plastic tabs that extend past the glass+ shaped like a semicircle. Use the sticker provided to quickly remove any dust specs that may have found it’s way onto the iPhone X’s screen while you were working. Guide the Glass+ into the template holding the semicircle tabs, making sure the notch / cut out is on the correct side and gently lay it down. Lightly press in the center and you’ll see the tempered glass adhere to the screen almost entirely on it’s own like magic. Any remaining bubbles should there be any can be easily worked out with the cleaning cloth and some light pressure from center outward to the edges. It will keep your screen free from scratches and looking good. You can still crack your screen if you hit it hard enough, it won’t perform miracles but it provides you a nice looking layer of up to 3x shatter protection that might just save your screen one day. Glass+ is also available for many popular devices like the Galaxy S8 / S9, Pixel 2 XL, iPhone 8. Check the Zagg website for a full listing of more devices and tablets. 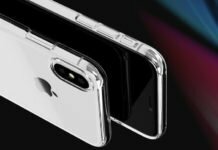 The InvisibleShield Glass+ tempered glass screen protector is a great way to protect your expensive iPhone X. The glass layer is thin and strong without sacrificing clarity. The design is elegant and the installation is incredibly easy. Features up to 3x impact protection with Zagg’s proprietary Ion Matrix technology, scratch protection and smudge protection. 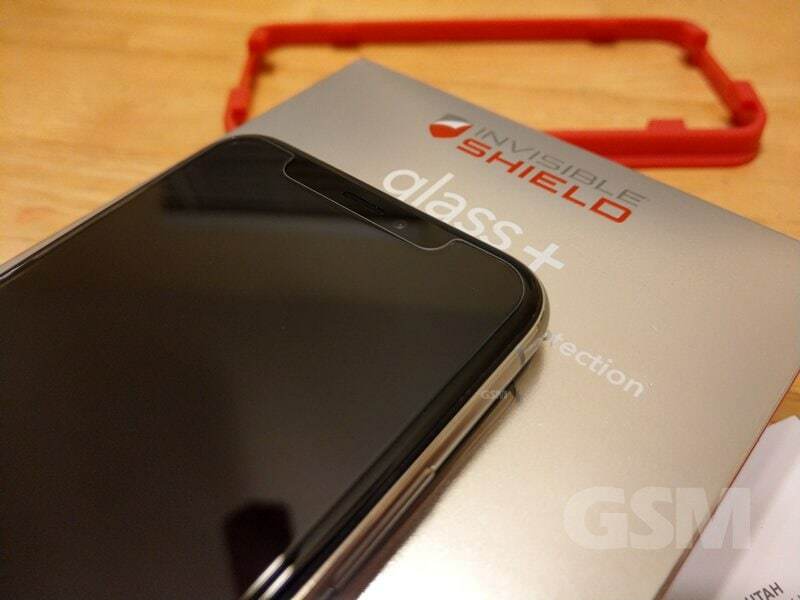 InvisibleShield Glass+ comes with a lifetime replacement warranty (for as long as you own your device).